A NEW HOME: The Princeton Chabad Center has moved to expansive headquarters set on 18 acres on Route 206. An all-marble mikvah, or ritual bath, is among its unique features. Future plans include facilities for summer camp. 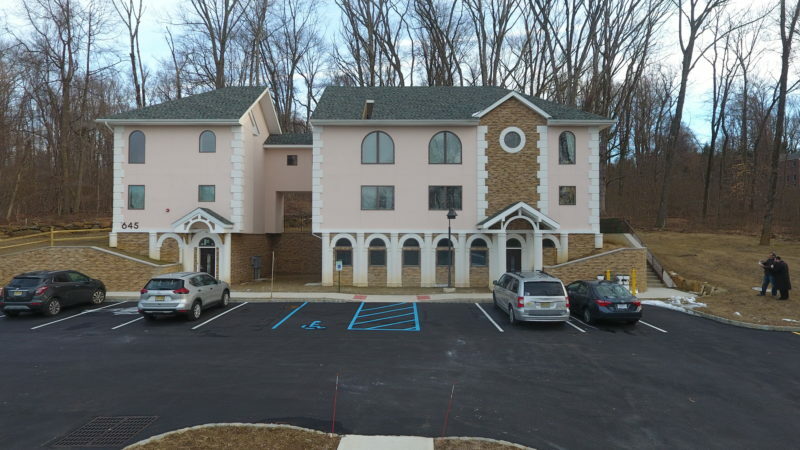 It has taken more than a decade, but the David & Rose Celler Princeton Chabad Center is finally open on Route 206. The organization, formerly located in a house on Route 27, has moved in to its new digs, in time for Passover. The two buildings on 18.46 acres are across Route 206 (State Road) from Griggs Farm. There is plenty of room for Friday night and Saturday morning services, Sunday morning Hebrew school classes, and adult education sessions. There is a large multi-purpose room. A bride’s room and guest rooms are on the upper floor, for people who want to spend the night. Chabad of Princeton purchased the land for the new location in 2004. The official opening is set for September 22, when a big celebration in honor of Dr. Leonard Baum will be held. In the meantime, Dubov is looking forward to a large turnout at the upcoming Seders, for which guests can sign up at princetonchabad.org. Chabad is an alternative to traditional Jewish affiliation, described on chabad.org as “a major movement within mainstream Jewish tradition with its roots in the Chassidic movement of the 18th century.” There are nine local branches of Chabad, including South Brunswick, Monroe Township, the Windsors, Hamilton/Robbinsville, The College of New Jersey, Princeton University, the Friendship Circle of Greater Mercer County, Princeton, and Lawrenceville.